Mystery shows have been a staple of independent wrestling for a while -- and regular attendees at Lucha Britannia’s Resistance Gallery spectaculars never know what they’re getting -- but PROGRESS Wrestling became the first major UK promotion for a while to give the gimmick a spin last Friday for their Unboxing Live! presentation at the Electric Ballroom in Camden. The promotion had sent out a preemptive message to fans, telling them not to expect major surprise imports -- which PROGRESS don’t really trade in, anyway -- and in the end there were no debuts, although the strength of the lineup may have shocked many cynical followers of seasonal half-efforts. They main evented with a match that might just might encompass PROGRESS’ success story -- Will Ospreay vs. Jimmy Havoc, which the latter won after a tremendous encounter (and it’s another defeat to add to Ospreay’s losing run here). Post-match, Havoc attempted to apologise to Ospreay for, well, trying to kill him, and urged the Aerial Assassin to join him in the fight against British Strong Style, but Ospreay rebuked the offer and instead beat Havoc down, with the aid of his old Swords of Essex partner Paul Robinson. Although Havoc is number one contender to Pete Dunne’s title, his shot may have to wait while he finishes business here. Speaking of Dunne, he came out aggrieved that PROGRESS were making him defend his title, and co-owner Jim Smallman was delighted to introduce Fabian Aichner as the challenger. Aichner made his PROGRESS debut earlier in 2016 on the back of a good showing in the WWE Cruiserweight Classic, and pushed Dunne here, although the champion emerged with his belt. His British Strong Style compatriots, Trent Seven and Tyler Bate, were set to defend their PROGRESS Tag Team titles, seemingly unaware that the belts had been declared vacant. Instead, BSS were to face former champions the London Riots and a surprise third team -- a reunited Marty Scurll and Zack Sabre Jr. as the LDRS, with Sabre Jr. literally unboxed by Scurll on stage. BSS became two-time champions (well, Seven did) and their promise to leave PROGRESS with all the belts remains horribly possible. The show opened with a six-man, as the South Pacific Power Trip faced off against FSU and Nixon Newell, with Newell pinning Dahlia Black in what could be a sign of things to come for the Women’s Natural Progression series. Another competitor in that tournament, Toni Storm, faced another of the UK’s top women wrestlers, beating Kay Lee Ray, who has already ruled herself out due to other commitments. The show also featured Jack Sexsmith, Chuck Mambo, and Pastor William Eaver, as well as a riotous “Wasteman Challenge” issued by “Body Guy” Roy Johnson and answered by retired joker-in-the-pack Madman Manson. The show is already available on Demand PROGRESS, and the promotion return in a week’s time with their Birmingham debut on January 15th. For fans of British wrestling, wherever they are in the world, it’s now extremely easy -- and affordable -- to see the action, even if you can’t get to the dozens of live events nationwide every weekend. The major promotions -- and some not so major! -- all have on demand services, with a variety of models, and there are YouTube shows, local cable shows, and the Fight Network showcases Insane Championship Wrestling and New Generation Wrestling on a weekly basis. That’s before you get into the nascent iPPV market, and the FloSlam Network showing IPW:UK and possibly Over The Top Wrestling in 2017! Chief amongst the on demand services are Demand PROGRESS, ICW On Demand, and RevPro On Demand, which allow both individual purchases/rentals of shows as well as monthly subscriptions which give access to new, archive, and exclusive material. This is a model also followed by IPW:UK, FutureShock Wrestling (with pre-WWE Jack Gallagher action), UKWrestlingOnDemand (which has a number of promotions -- Pro-Wrestling Chaos, Ultimate Pro-Wrestling and the archive of Triple-X Wrestling, with early outings for Zack Sabre Jr., Jimmy Havoc, and Pete Dunne, as well as indie Bryan Danielson), 4-Front Wrestling, Grand Pro-Wrestling, Discovery Wrestling, and by Preston City Wrestling, who have previously relied on DVD-only releases. Alongside this, a number of other promotions sell digital downloads of individual shows, mostly through Vimeo, allowing the discerning viewer to pick and choose their home entertainment and follow individual wrestlers rather than promotions. This is a service offered by ATTACK! Pro-Wrestling, Fight Club: PRO, Southside Wrestling, Premier British Wrestling, and by Tidal Championship Wrestling (through Smart Mark Video). YouTube is used as a great tool for promotions to get their footage seen, with a mixture of full shows, “TV shows,” and individual matches attracting anywhere from hundreds to hundreds of thousands of viewers. Morecambe’s Alpha-Omega Wrestling and Scotland’s British Championship Wrestling use this facility particularly well, with a mixture of footage really giving a flavour of the promotion, while there are full shows by the likes of NORTH Wrestling, GOOD Wrestling, and others to be found by the keen searcher. What Culture Pro-Wrestling, backed by a clickbait video empire, make great use of YouTube, with a weekly show, Loaded, and they're are joined in similar endeavours by Fight!Nation, Target Wrestling, and by Lucha Britannia, who have been searching for a way to showcase their unique product for a while. Regular TV shows are produced by ICW (Friday Night Fight Club, which airs weekly on their on demand service free for the first 24 hours, as well as the Fight Network in the US and Canada, and Italian TV channel Nuvolari), by NGW (British Wrestling Weekly, available to their subscribers, viewers of local cable channels across the UK, and also on the Fight Network), and by the World Association of Wrestling, which is searching for markets to air its footage (which also includes Bellatrix) and currently airs locally in Norfolk and on their website. It’s all out there, now go and watch it! Although it was filmed some time ago, the World Of Sport revival was finally broadcast on New Year’s Eve in the UK, on the nation’s second channel -- ITV -- and in a prime slot on a Saturday afternoon. Sensibly, no prior expectation for what would consist of a good rating was stated, and the 1.25 million viewers (a 7.3 percent audience share) cannot be considered a failure or an overwhelming success. It did lose half a million viewers from the lead-in show, and Ninja Warrior UK, which followed, doubled the wrestling figures, but it has to be put in a context which includes a huge football game on Sky Sports, between Liverpool and Manchester City. I looked at the show in more detail last week, but the wrestling portions were great, highlighting the strength of the scene and spotlighting some of the UK’s top performers. In the opening match, declared for the WOS Championship by a shadowy championship committee, Dave Mastiff beat Grado, with help from Sha Samuels and Johnny Moss, to become the first champion. That set off a show-long storyline, whereby Grado and the winners of the show’s other matches -- save for the women, which is hardly progressive -- would qualify for a battle royal and the winner of that would challenge Mastiff in the main event. The qualifiers included a British-style technical encounter between El Ligero (a “Mexican” residing in the UK) and Zack Gibson, won by Ligero, and a tag team match won by Joe and Mark Coffey -- in matching face paint -- over Rampage Brown & Ashton Smith. There was also a spectacular ladder match, which Kenny Williams won in great style, beating out Sam Bailey, Danny Hope, and CJ Banks. Ligero, Williams, and the Coffey brothers qualified for the battle royal, along with Samuels, Moss, and a mystery opponent placed there by GM-figure Max Beesley Sr.
That surprise turned out to Davey Boy Smith Jr., billed as The British Bulldog (which must have confused a few casual followers), who emerged halfway through the match to save Grado from Samuels and Moss, helping the Scotsman win the title shot. Samuels and Moss did further damage before the title match, but Grado found enough to beat Mastiff to end the show on a happy note. That women’s match I spoke of? Viper beat Alexis Rose is a good showcase for both women. What happens now is entirely down to ITV. They may decide to progress to a full series, or bring the show back each Christmas for a seasonal treat. In addition, the World Of Sport brand has cache, and licensing it -- along with the associated talent -- to local promoters is also a strong possibility. The show was sold on British wrestling being “back,” but it never really went away. Whether there’s a place for World Of Sport the modern era very much remains to be seen. As well as being avid readers of this column -- and thank you for that, by the way! -- a good way to keep up with the goings on -- and familiarise yourself with the personalities -- of the British scene is the growing network of podcasts that cover UK action. While it may get cursory coverage on the usual suspects when a big story breaks, there’s a number of shows dedicated to our side of the Atlantic. Following the example set by Chris Jericho and Colt Cabana, amongst others, there are a couple of “star” broadcasters that produce weekly shows. The first -- Tuesday Night Jaw -- by PROGRESS Wrestling co-owner Jim Smallman, is not entirely dedicated to the British scene -- he ropes in scene personalities to review WWE PPVs when they occur -- but does feature some very good, in-depth interviews with British wrestlers, past and present, and the odd invaluable Q&A from a promoter’s point of view. The second, by “Flash” Morgan Webster, started as a way to keep him involved during an injury lay-off, and is a series of interviews with his “wrestling friends,” often containing some stories that would otherwise be lost to history. There is also an array of shows that cover the wider scene, which also include interviews on occasion, but are more concerned with getting to grips with how shows fared and what the goings-on mean for BritWres’ present and future. However selfish, it would be foolish of me not to plug my own podcast here -- The Indy Darlings, which covers both UK and US independent wrestling -- but I’m by no means alone in bringing the hot pod action. Voices of Wrestling’s BritWres Roundtable, featuring F4Weekly’s Oli Court (alongside long-time scene chronicler Arnold Furious), does a great job of reviewing all the big UK and European shows, while The Buzzards Podcast takes a more regional view of the Midlands scene, and The Indy Corner is a sporadic but invaluable interview show, which gets some big stories. As the scene further develops, live podcasts have become a go-to thing now -- PROGRESS do a live ProgCast during Super Strongstyle 16 each year, and Working A Resthold hosted their first last year with Jimmy Havoc, Jack Sexsmith, Trent Seven, and Jinny as guests, and return later this month with Seven, Marty Scurll, Mark Andrews, Pete Dunne, and Ryan Smile. 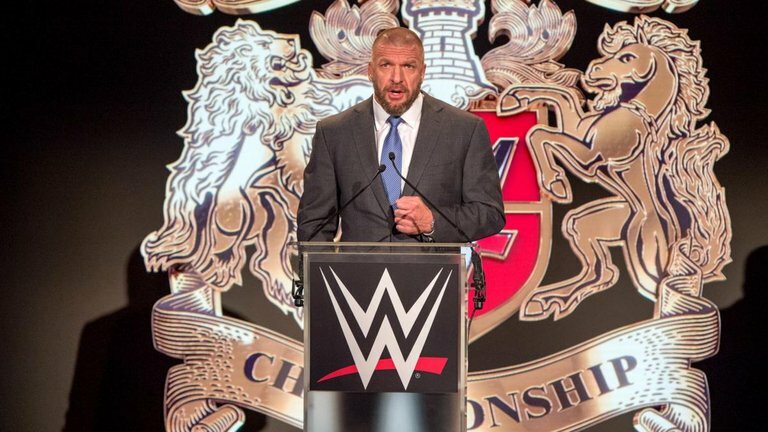 When the WWE United Kingdom Championship tournament was launched, before Christmas, one takeaway quote from the accompanying press conference was that the contracts signed by the 18 competitors -- now revealed to be worth £16,000 (roughly $20,000) for the year’s duration -- was that there would be no restrictions on the places they would be able to work outside of giving WWE first refusal on dates. However, this past week What Culture Pro-Wrestling revealed that, going forward, they would not be using the four WWE-contracted talents that have been appearing on their shows -- former champion Joseph Conners, Pete Dunne, and the Moustache Mountain team of Trent Seven & Tyler Bate. This was never explicitly stated to be a result of WWE directives, although the promotion did delete a tweet that simply read: “no restrictions” (speech marks theirs). When challenged on Twitter by a fan, WWE UK overseer William Regal claimed that “no restrictions” was only part of what he’d said, and it has to be said that to expect to be able to use WWE-contracted talent on a network TV show (in the case of the World Of Sport revival) or iPPV (as WCPW have made their stock-in-trade) was a little naive, and that’s before you figure in What Culture’s lucrative sideline as an often very vocal critic of WWE. Where the waters may muddy is in the case of Insane Championship Wrestling and Preston City Wrestling, who both use WWE UK tournament competitors and have broadcast on iPPV in the past, and with Over The Top and IPW:UK, and their FloSlam deals. 2017 is a brave new world in British (and worldwide independent) wrestling, and the landscape hasn’t quite settled yet.